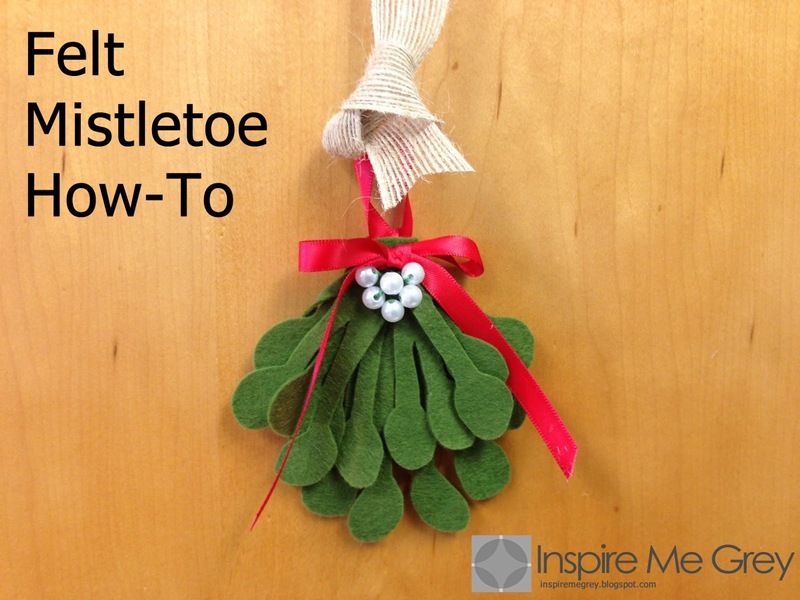 Luckily for us, Hannah from Secrets of a Belle has been gracious enough to share her how-to for making your own mistletoe. 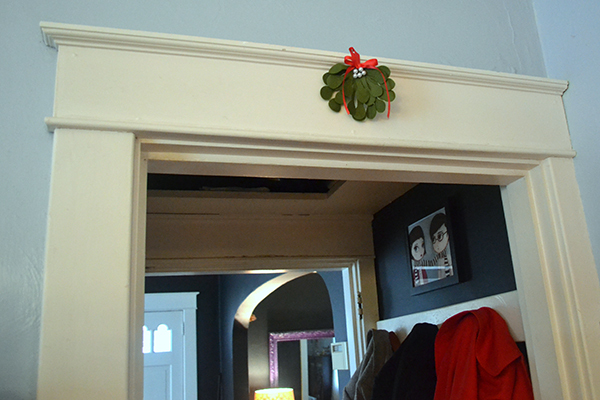 I don't know about you, but I love a little mistletoe around the house during the holidays, and this one I can hang up year after year which is great! 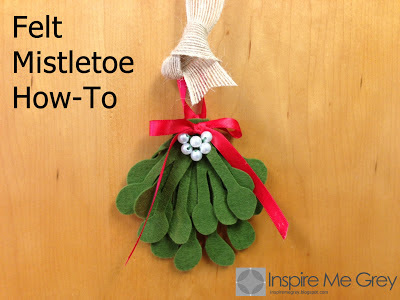 Hannah created this cool felt mistletoe that is great over doorways, hanging on trees, or tied to a loved one's present as a decorative topper. 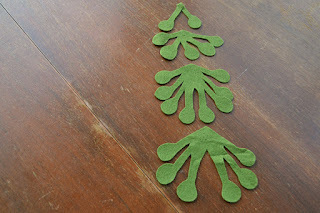 Download and print the pattern off on a sheet of regular letter-size paper, and cut out the shapes. Layer your pieces of felt from largest to smallest and stitch them together. Two tips: 1.) It helps to leave a little space at the top of the largest piece for attaching your bow and loop later. 2.) 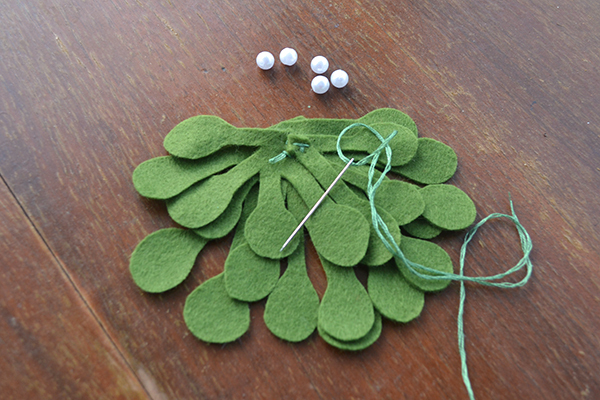 I folded the smallest piece over to help hide some of the stitches. 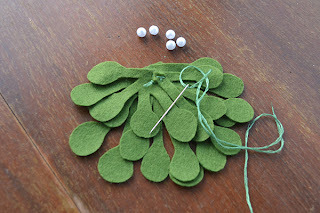 Sew on your pearls as the little mistletoe berries. 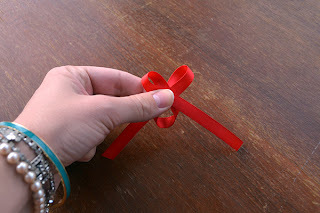 Tie your ribbon into a bow and attach just above your pearls. With another piece of ribbon, make a loop to attach to the back for easy hanging. For more holiday ideas from our favorite belle, Hannah, don't forget to visit her blog Secrets of a Belle.